The exhibition, curated by Edwina Fitzpatrick, took place at the Wimbledon Space at Wimbledon College of Arts. 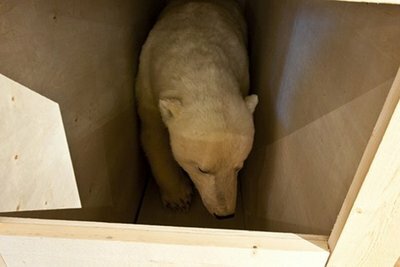 The exhibition takes its name from Antarctica’s Larsen Ice Shelf. In 2002, part of this vast Shelf fell into the sea. The satellite images of this happening brought global warming and melting Polar ice into the public consciousness. But what happened to this melted water? 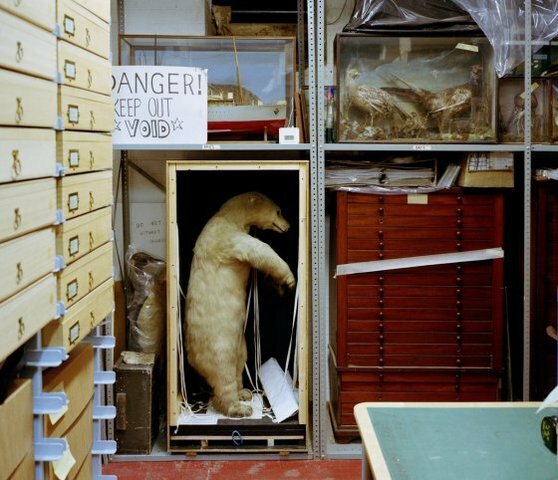 The exhibition, timed to coincide with the United Nation’s Climate Change Summit in Paris, considers how relatively uncharted parts of the world – the Polar regions and the deep seas – might be (mis) represented, and how art can offer us a way to engage with and witness something as large and difficult to grasp as climate change or marine pollution. The show includes Bryndis Snaebjornsdottir and Mark Wilson’s nanoq: flat out and bluesome, which archives the taxidermied polar bears in the UK’s public and private collections.